Don Bald was born in Belleville, Illinois in 1943. Hunting was a way of life for him since he grew up on the family farm in the early 50's. He married his wife, Sandy in 1965. They have two children, Mike and Kim. Mike and his wife Laura, live in Elk Grove, IL with their two children Justin and Hannah. Don affectionately refers to his two grandchildren as "Big Sweetie" and "Little Sweetie" and hopes they will be the next generation of hunters in the Bald family. Don earned a Bachelor's and Master's degrees from Southern Illinois University in both Industrial Arts and English. But he add's "Through experience I could also claim a PhD in chasing various critters in the woods and waters of southern Illinois, Missouri, and a few other states"! Don retired from teaching at the Lebanon Community High School after almost 40 years. He also taught adult extension classses for a local community college and Scott Air Force base. 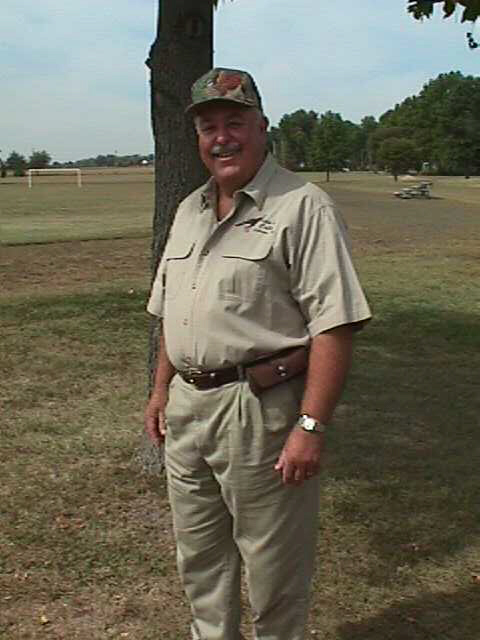 He serves as a volunteer hunter safety instructor and has helped educate young hunters for over 35 years. His hobbies include fishing, fine woodworking, photography, reading and cooking. Of course his favorite hobby is hunting. He say's, "I hunt turkey, ducks, geese, deer, swans, squirrels, rabbits and anything else that has a season and is legal to shoot"! The organizations he is involved with are The National Wild Turkey Federation as a Guardian Sponsor, National Rifle Association, Ducks Unlimited, Call Makers and Collectors Association of America, past president and current Board member of the Mississippi Valley Duck Hunters of Illinois and the Illinois Waterfowl Association. Don is a member of the St. Paul United Church of Christ. An interest in turkey calls aroused his interest some 20 years ago. Using his multitude of talents and skills, he began crafting his inimitable style of calls. He is one of the few call makers who makes every type of turkey call. His work has elevated the creativity, craftsmanship and quality of this unique form of folk art. Most importantly, even his most highly decorative pieces will still perform their intended purpose which is to call turkeys to the hunter's gun! Don has won literally hundreds of awards for this outstanding work in National Call Making Competitions. His work is always at the pinnacle of the craft.